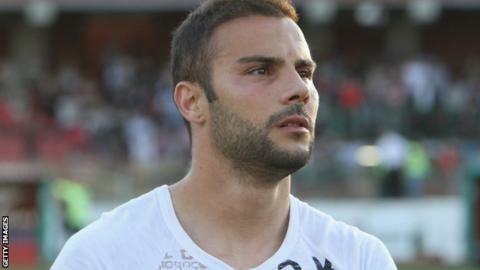 Bolton Wanderers are set to sign full-back Francesco Pisano on a free transfer after he left Cagliari. The 29-year-old former Italy Under-21 international has spent his whole career at Cagliari and plays on the right side, primarily as a right-back. Pisano's projected move comes as USA international Tim Ream looks set to join Championship side Fulham. "We're hoping Pisano will come in tomorrow (Tuesday)," said Bolton manager Neil Lennon. "It probably won't get sorted in time for the game (at MK Dons), but he'll be a good addition." Bolton have also taken Carlisle's former Manchester City defender Courtney Meppen-Walter on trial.